Our SMS marketing techniques are very unique that can be catered to help your business grow by leaps and bounds in a relatively short time while ensuring that you get all your marketing dollars’ worth. Through our own unique SMS Marketing method, you can now reach your customers better and thereby touching your target segment more accurately. This is because our SMS Software tools are able to provide you with the capability of communicating with your customers. When an SMS is sent out through us, your customer can choose to reply using the same platform. Alternatively, they can choose to reply using other communication tools like email. By using this, you can trace the effectiveness of your campaign, an advantage not available in any other media previously. 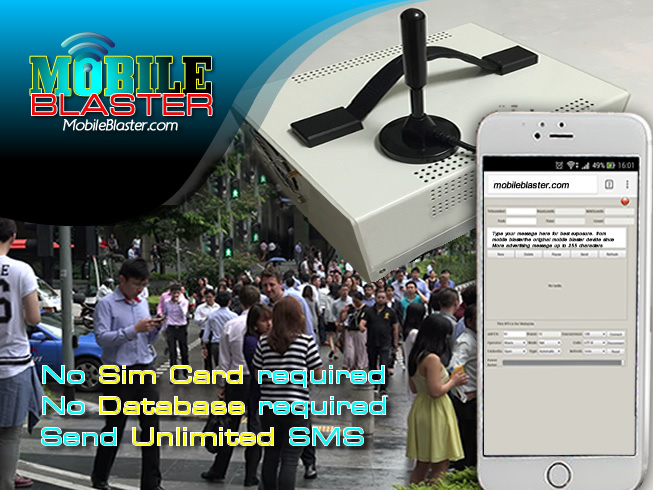 Another positive factor about our SMS Marketing option is that you are now able to select the certain demographic group through our mobile phone database. This means that you will not waste your advertising dollars by sending SMSes to people who are not your target market while selecting only those who are relevant to your advertising message. Whatsapp – Whatsapp Marketing is very effective. It is almost a guaranteed strategy because most of your customers will be on Whatsapp one way or another. We have been sending out to more than 150k recipients per day with successful response. Great Content – You should know that your content on all digital platforms should not be taken lock, stock and barrel from others. If you can, develop your own content for your business. A freelance writer will not cost much, but what you need is great content which are relevant and related to your customers. Besides that, you should be creating video content. This has now become one of the most effective media ever. Internet users spend one-third of their time online watching videos. Imagine if they are watching your product demos or ads. This option is very affordable. All you need is a phone with a good camera and you can start. Go Social – Reddit is one of the best tools to start although you will surely be thinking of Facebook. Social networks are your best options if you want an effective word-of-mouth marketing tool. Expand your network to include the likes of Instagram, Twitter and the rest. The more networks you are involved in, the larger your potential reach will be. One very important network you must consider is LinkedIN which will connect you with affordable experts. Advertising – There are a lot of affordable options when it comes to advertising. Google is one of them but head into the different types of platforms available like Stumble Upon and you will find that it is a lot cheaper than imagined. Data and Infographics – Readers tend to like to read data and statistics. Choose the best statistics that suit your business from those available on the public domain as provided by market research companies like ATKearney, Nielsen and GfK. On the other hand, you might want to change your method of presentation to include more infographics. You can learn how to do this online or find a part-timer to help you out. Industry Engagement – First of all, try to win a business award somewhere. It does not need to be a major one but it could be a good basis for you to shout-out to others. Engage your customers better by running a contest or competition. Use a small budget for prizes because you want to attract customers who are really interested in you. Form partnerships with others in the market. It would be excellent if you can join an alliance with a big brand where you can then ride on their popularity. Otherwise, look for strategic partnerships with operators like payment gateways, search engines, communication apps and such.